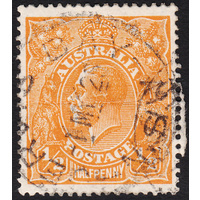 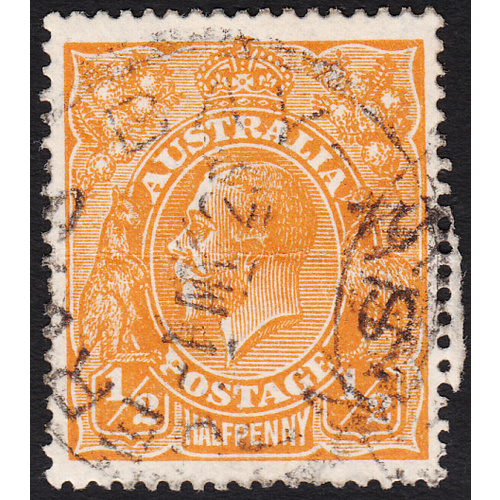 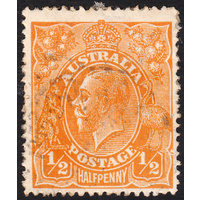 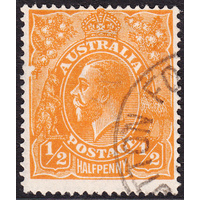 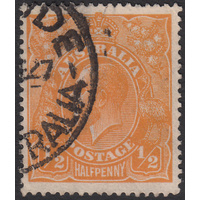 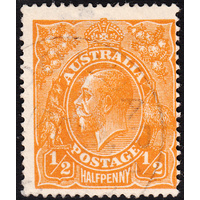 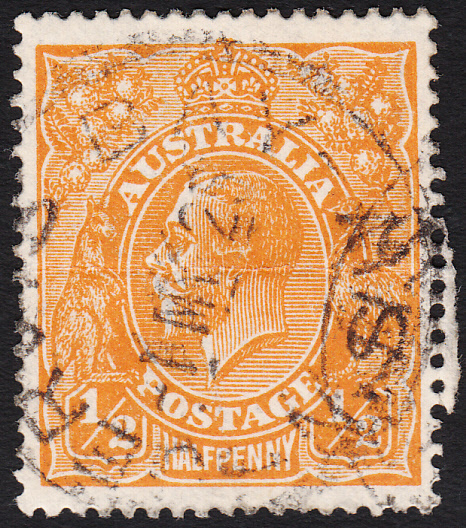 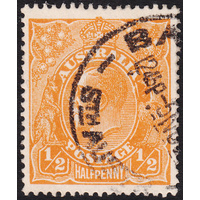 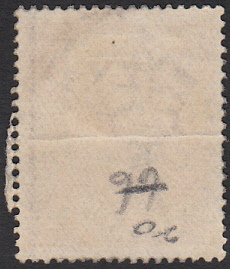 Australia KGV 1923, 1/2d Orange, Single Wmk, variety 6L54 (Retouch to crack through King's Ear) in Good Used condition with a horizontal crease through the center of the stamp. 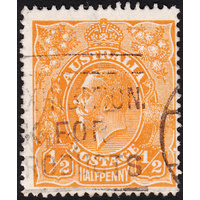 Well centered with a double-strike circular datestamp cancellation (JERVIS BAY, NSW, 1st May 1925) clear of the variety. 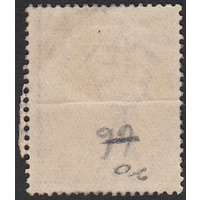 BW 66(6)i.